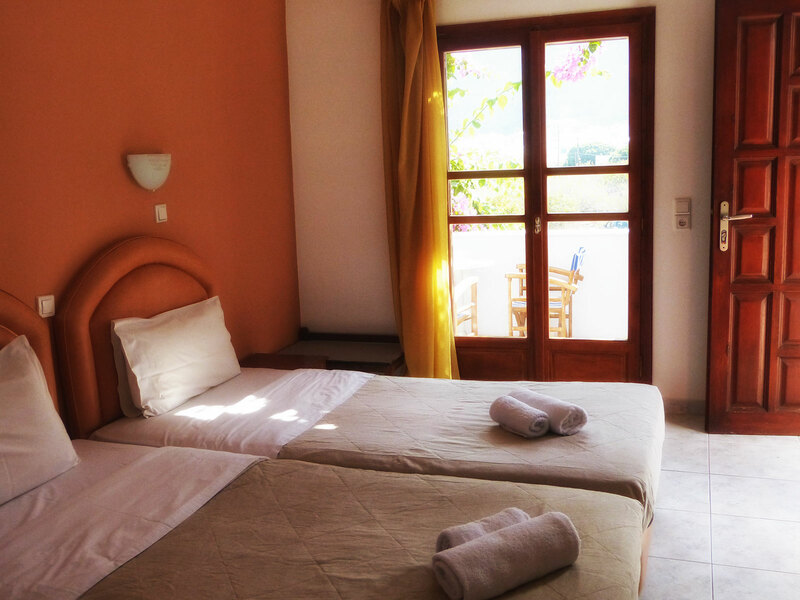 A cozy bedroom with one double bed or twin beds. 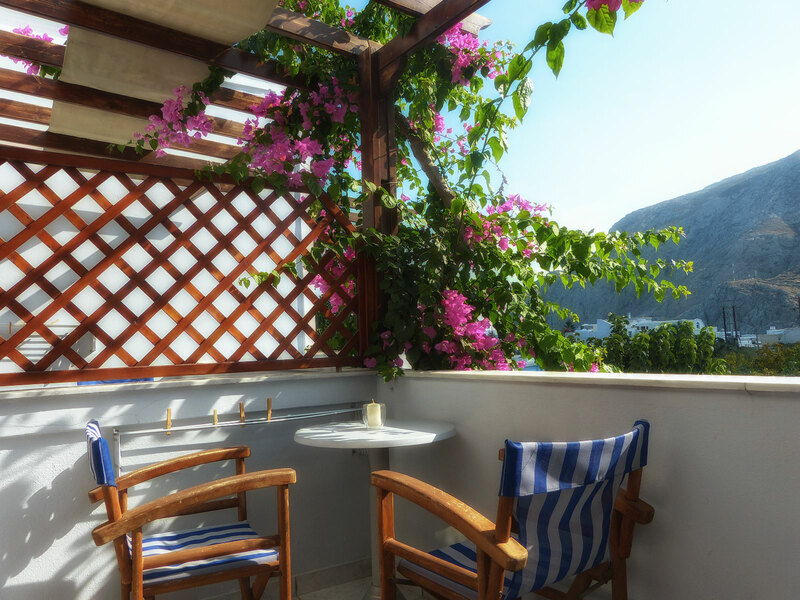 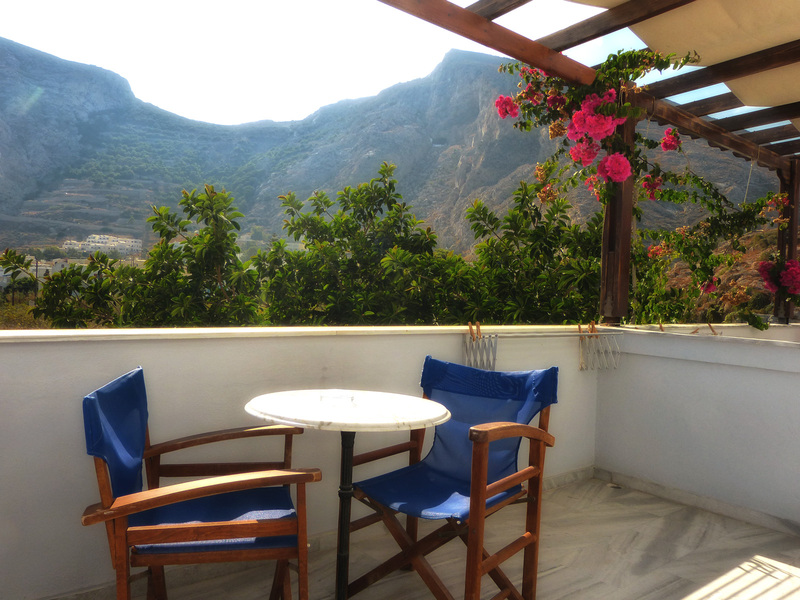 The bathroom has shower and the balconies overlook the pool and the stunning Ancient Thira. 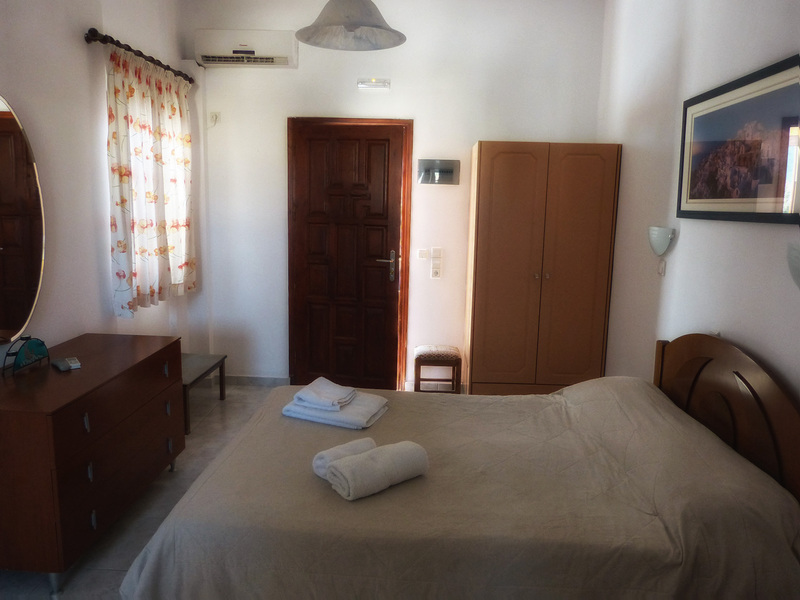 All Double rooms have air conditioning, Satellite TV, direct dial phone, fridge and hair dryer, coffee facilities and kettle.